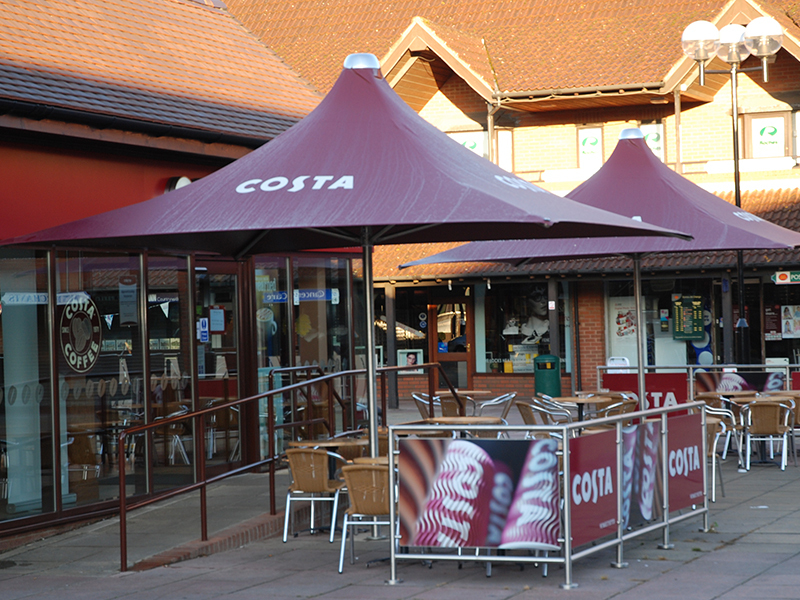 Designed for today’s demanding environment and engineered to withstand high winds and driving rain over sustained periods of time, Vortex parasols are the ultimate shade and shelter for commercial premises. 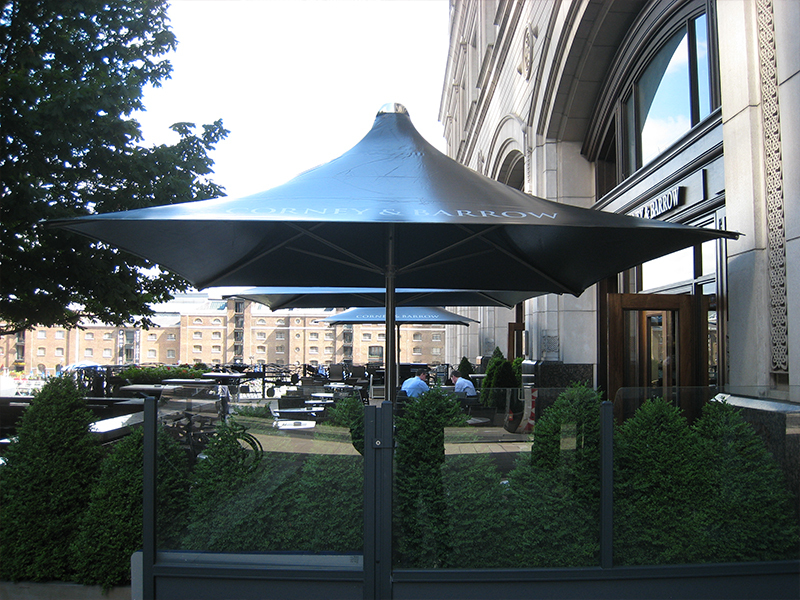 Manufactured in the UK, the Vortex High Tensile Commercial Umbrella is the ultimate solution for outdoor cover and alfresco dining. It provides both shade and shelter all year round. It is the only umbrella capable of taking up to a gale force eight wind (up to 100km/h). It is a truly ‘fit and forget’ umbrella unlike all others that do require management in varying weather conditions. The Vortex Umbrella is a venture into an area where few manufacturers dare to tread. It is designed to be left up and open all year round due to its careful blend of materials and engineering. It is easily maintained, thanks to its long lasting and tear resistant material, waterproof with high UV resistance and a framework made of high quality stainless steel. There would only be a few days in the year when you would consider closing the umbrella or of course out of season in a commercial environment. 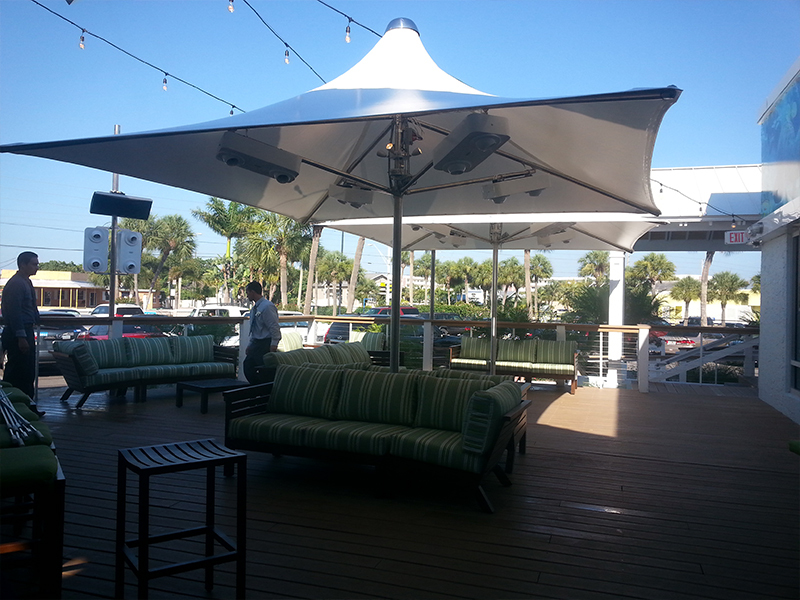 Most umbrellas are not managed by establishments and are left to get damaged in high winds. This is a unique and very strong umbrella standing up to wind force 11. 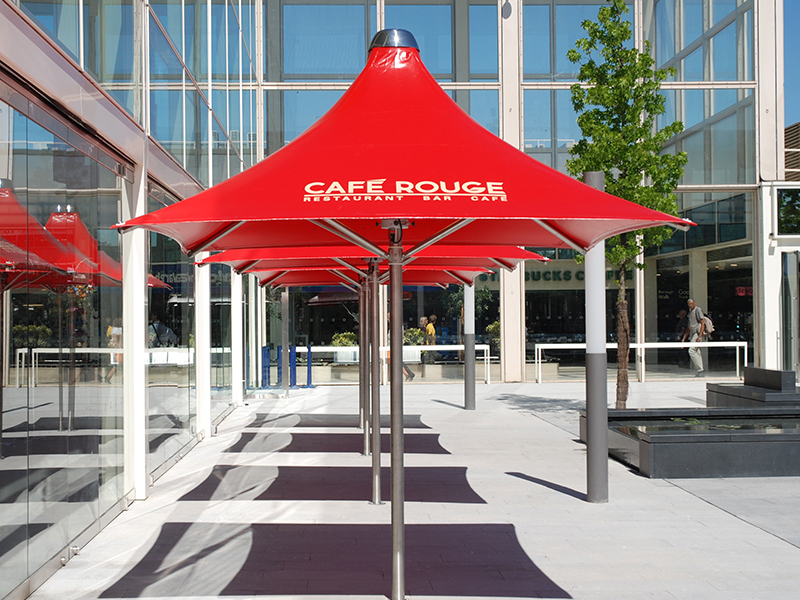 Commercial sun and rain protection with the added advantage of a very high wind rating making it perfect for the catering and restaurant trade where management of umbrellas is difficult with rapid weather changes. Who will close the umbrella(s) down every night without fail? 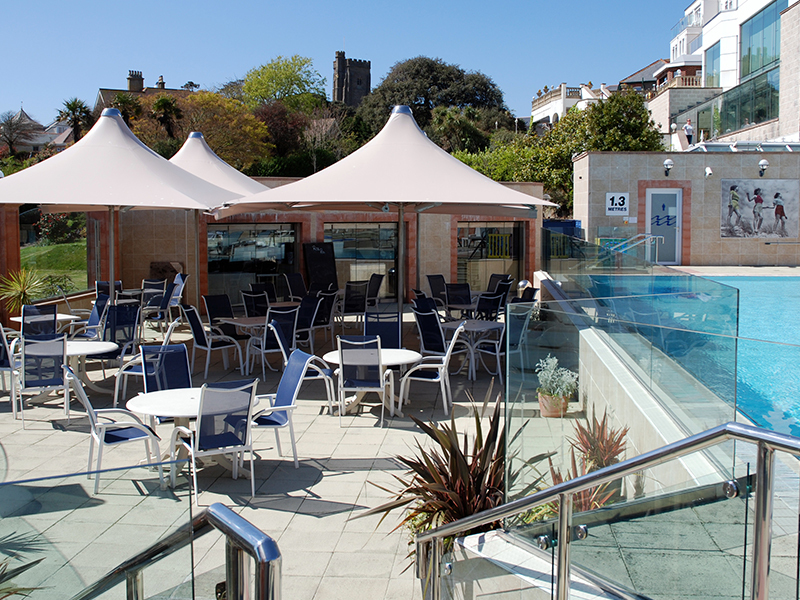 With lights and heaters and the pole mounted table, Vortex parasols are a perfect addition to any outdoor area in a bar, restaurant, cafe or club. 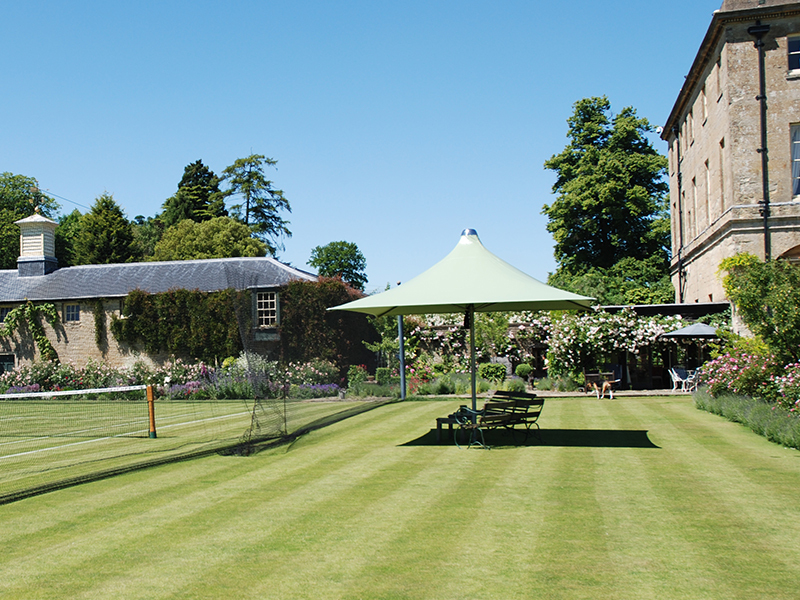 Designed to provide year round shade and shelter, Vortex parasols are proven to stay up and open far longer than any conventional parasol or awning on the market today. 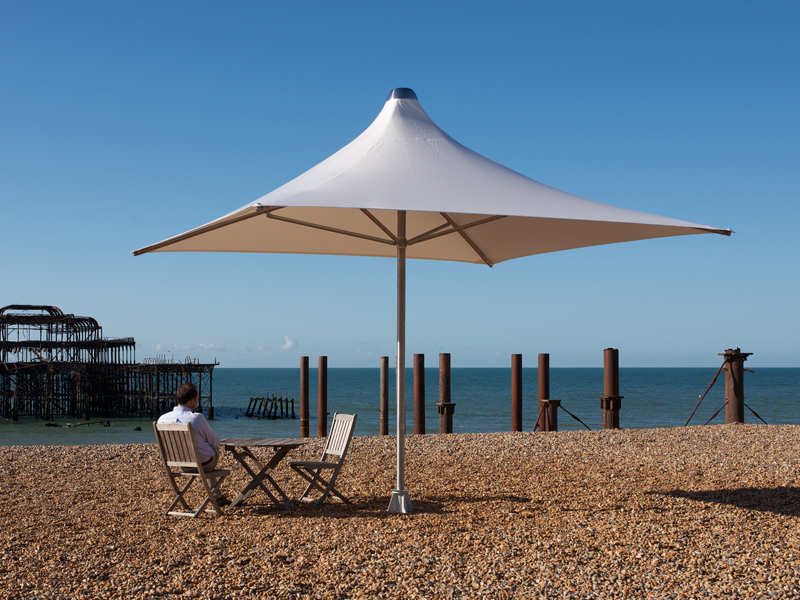 The Vortex is available in 3 standard sizes, this being the exact width across the diameter of the umbrella when open fully. 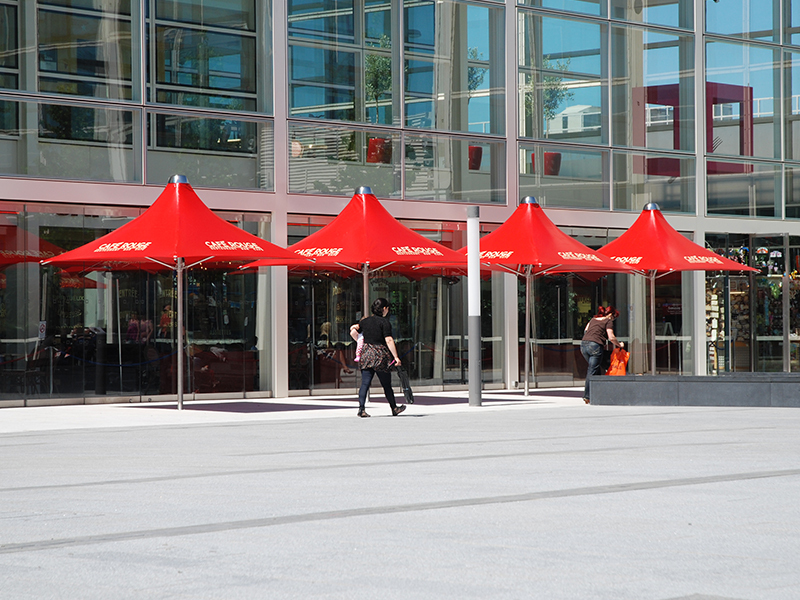 VorTex parasols are fitted with Ferrari 502 PVC. A very durable and long lasting cover material, easy to clean and carrying a 5 year warranty ensuring years of dependable service. 40 colours are readily available to create an eye catching effect and compliment an existing colour scheme or blend away in the background. Advertising can be added in logos or writing with a digital mock up service also available to help you decide the best impact. With 40 colours available, Vortex can be specified to create an eye-catching splash of colour, complement an existing theme, or blend into the background. Choose a beautiful colour tone from one of the colour palettes: Emerging Colours, Design Illusion, Body Language, Evolving with Time or Mayhem to ensure the right colour for your own environment. These are suitable for permanent fixing of the Vortex Umbrellas and provides the best stability for the product. Electrical cables should be run through the ground, throughout the ground base, completely hiding them. The flat steel plate is to be bolted to an existing and suitable solid surface. This provides a permanent fix in situations where it is not possible to install a ground base. This is a large steel base with concrete slabs. These allow a non permanent fix and although they are very heavy this installation does allow the umbrella to be moved if required. These are suitable for permanent fixing of the Vortex Umbrellas and provides the best stability for the product. The Vortex frame is manufactured from 304 grade stainless steel. The stainless steel pole diameter is 76mm with a 3mm wall thickness. Main ribs are 42mm with a 1.6mm wall thickness and supporting ribs are 38mm with a 1.5mm wall thickness. 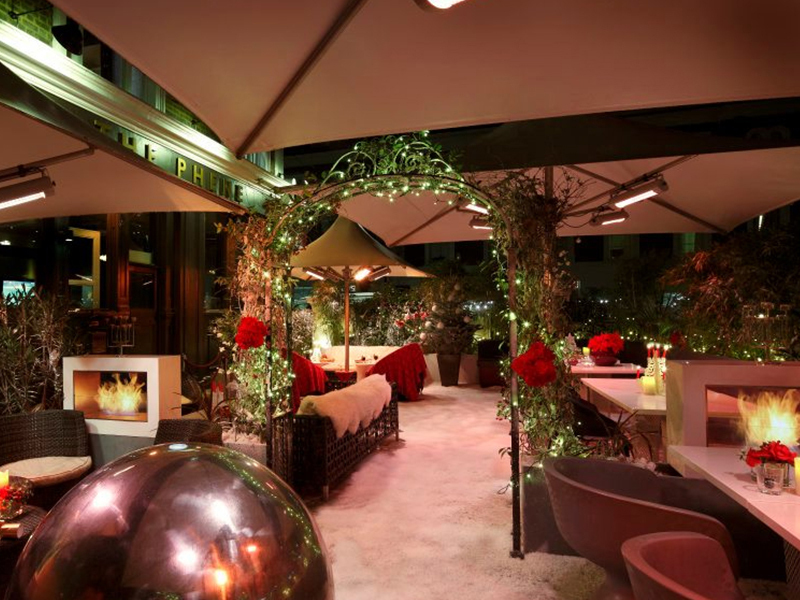 Highly efficient heating and lighting systems are readily available for the Vortex parasols range providing comfort and creating theperfect ambience at night. A custom made hub system specially designed for Vortex enables the connection of up to 4 efficient halogen heaters with minimal of fuss. Standard heaters are 1.5Kw electric infrared with integrated switching. Pole mounted LED lights, incorporating 2 or 4 directional spotlights provide easy lighting, and can be fitted with 50W halogen bulbs or LED bulbs and can be then controlled by remote or hard wired switch as required. Endless combinations are also available for adding outdoor speakers for music, TV screens and even cooling systems. Perfect for use in pubs, bars, hotels and restaurants. > Resistant to scratches, abrasions heat and the weather. Hygienic and easy to clean. > Easy to fit at any height with just two simple connections. > Durable enough to be left out all year round, strong enough to withstand every day use. Or can be easily removed and stored. Installation details are provided and we can offer an installation service with prices on application for anywhere in the UK. The Vortex is specifically designed for today’s ever demanding environmental changes and is designed to withstand high winds and driving rain for sustained periods of time. 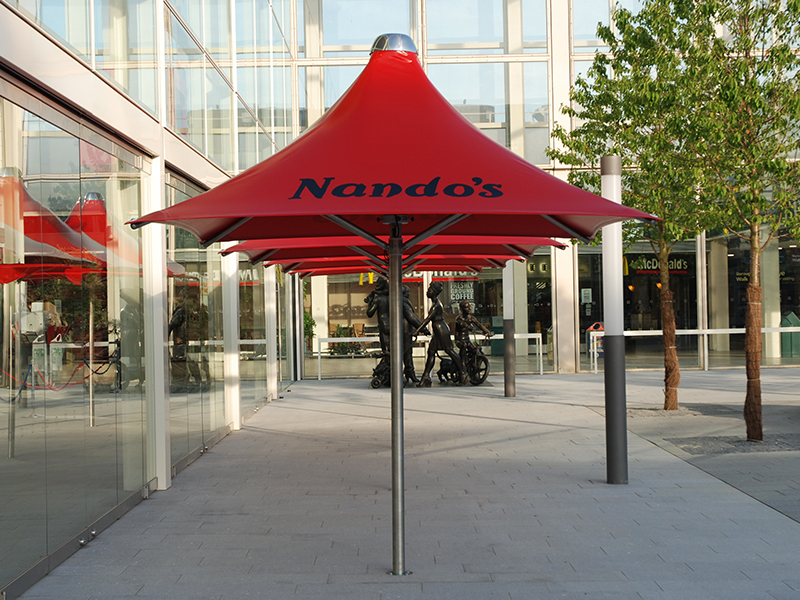 Vortex umbrellas can be used ALL YEAR ROUND even in the harshest of environments subject to correct installation relevant to the site conditions.